To help these families make healthy transitions, we provide original articles, tools, resources and experts on topics such as, Parenting, Divorce, Health Crisis, Aging and Personal Finances. The articles are meant to educate, inspire and help our community to feel supported. You are not alone. Roseann Vanella has spent a lifetime witnessing many families in transition on both a professional and personal level. She is a Professional Family Mediator who clearly understands the impact on families going through life changes. 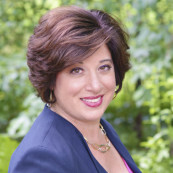 Roseann is a recognized expert on divorce and family matters. Her words of wisdom have appeared in the Huffington Post and other publications and media including a weekly radio show. She hosted, “Family Affaires,” which reached a worldwide audience through Blog Talk Radio. She is often a guest on radio shows, recently joining Dr. Dan Gottieb on WHYY/NPR. Roseann is a strong advocate for community and volunteers her time improving the lives of people in need and the community. She currently volunteers as the Vice President on the Board of Directors of CASA, Court Appointed Special Advocates, a national non profit supporting children who have been displaced from their homes due to abuse or neglect. In February of 2014, Roseann was awarded the NAWBO “Nova Award” in recognition of her outstanding achievements for community service. Marie was retired and living the life of exotic travel and adventures with her husband of 56 years until recently. Her husband was diagnosed with vascular dementia and this has caused their travels to end. Marie has experienced being a caregiver ever since her parents & mother- in- law had begun aging. She is now the sole caregiver for her husband. Marie came out of retirement and helps our community with her skill of editing which she did early on in her career. Editing is a true passion of hers and she understands exactly what our community needs. Carmela had experienced a major Health Crisis. She had been an executive for 16+ years and upon her return to work, after a medical leave for cancer surgery and treatment, she was informed that her position had been “eliminated”. Soon after, she founded, FYI Business Consulting & Outsource Services driven from her passion for helping businesses thrive and most importantly teaching and educating entrepreneurs and executives the tools on how to solve problems. Carmela works with our team by helping us strategize on innovative & creative ways to better serve our community. Her personal as well as her professional experiences, make her the perfect fit since she has a direct understanding of the many issues our community faces everyday. It is the mission of FamilyAffaires.com to be an objective resource providing valuable content and information to our community. We will not permit our advertisers to influence our editorial content or visibility throughout FamilyAffaires.com We understand that being objective and earning our communities trust is critical for building and maintaining the integrity of FamilyAffaires.com.